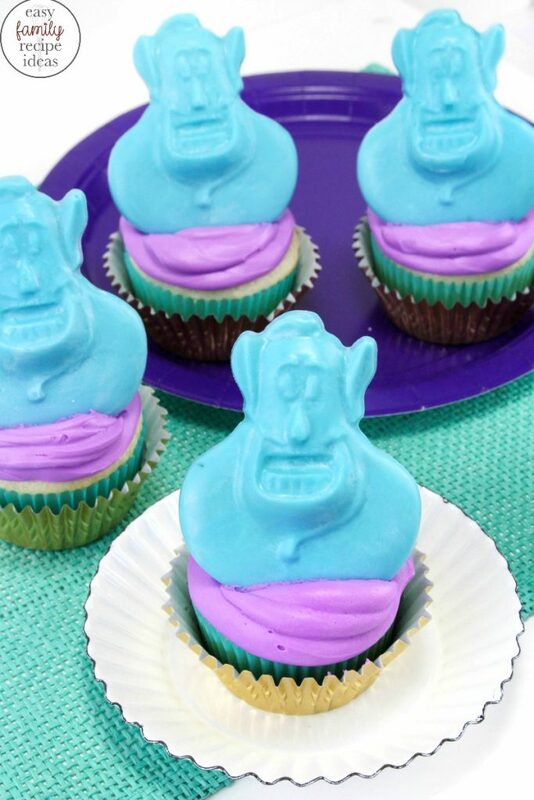 These easy to make Aladdin Cupcakes are perfect for any Disney obsessed family like us. 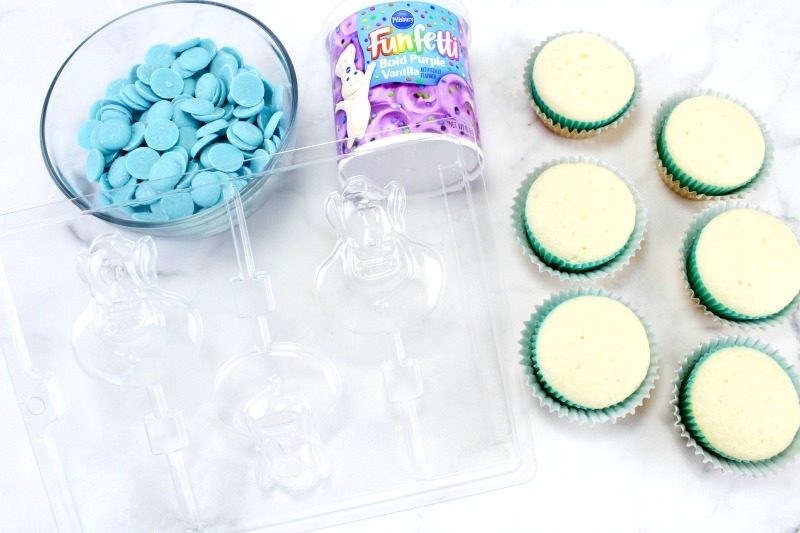 Making Aladdin themed cupcakes only takes a few steps, and all the kids in the neighborhood will want one. 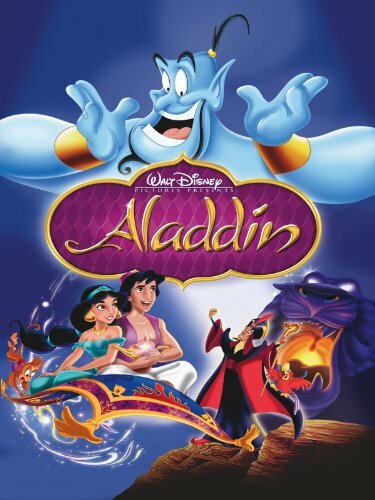 Aladdin was one of my favorite movies growing up so I can’t wait for the new live movie to come out so I can watch it with my children. 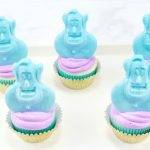 You can impress your friends and family with these Magical Genie Cupcakes! 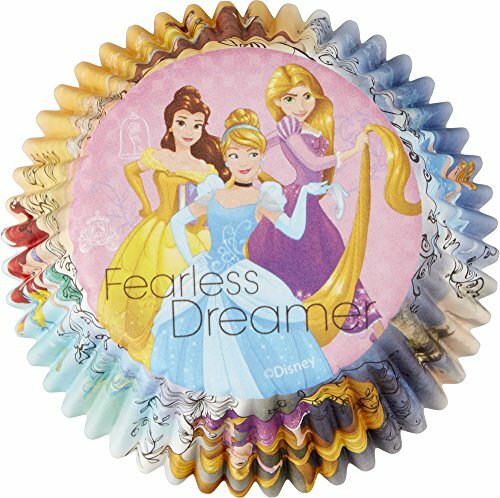 They are easy to make, and they look amazing! 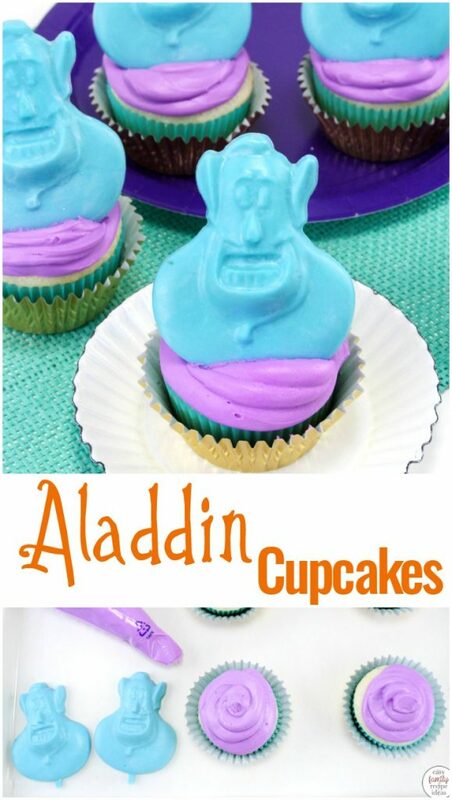 What you will need to make these Easy Aladdin Cupcakes is in this picture below. However, I have it displayed in a recipe list form to print out towards the bottom of the page. 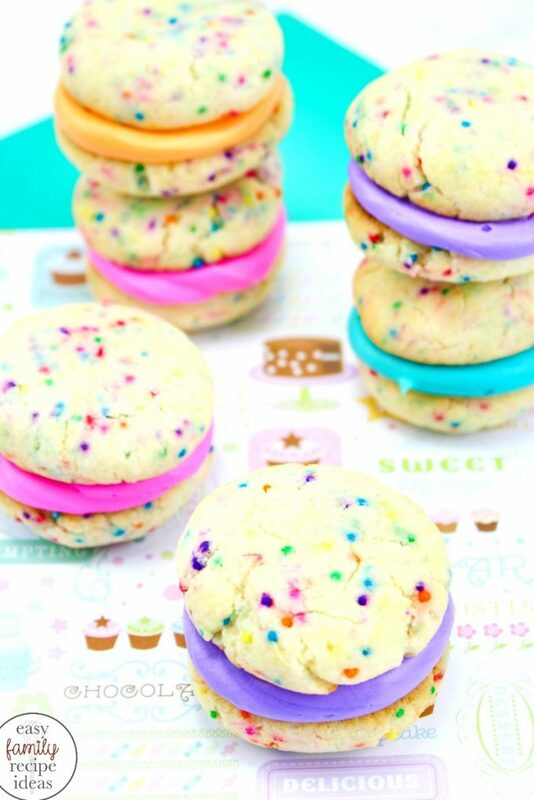 You can use your favorite cupcake recipe or make a vanilla boxed cake mix. This recipe is measured out for 6-10 cupcakes. So you’ll need to double the recipe if you are making enough for a bake sale or birthday party. 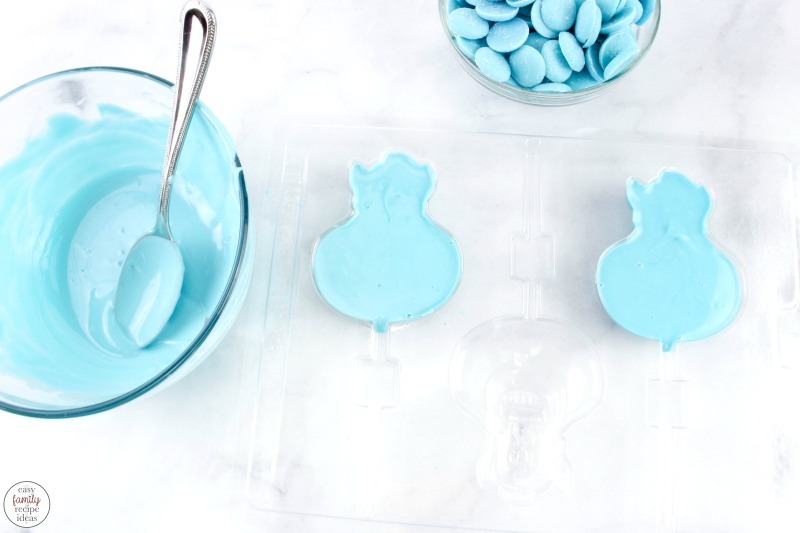 Spoon your melted chocolate into the molds and tap the mold on the counter a few times to release any air bubbles. Let them dry for about an hour. 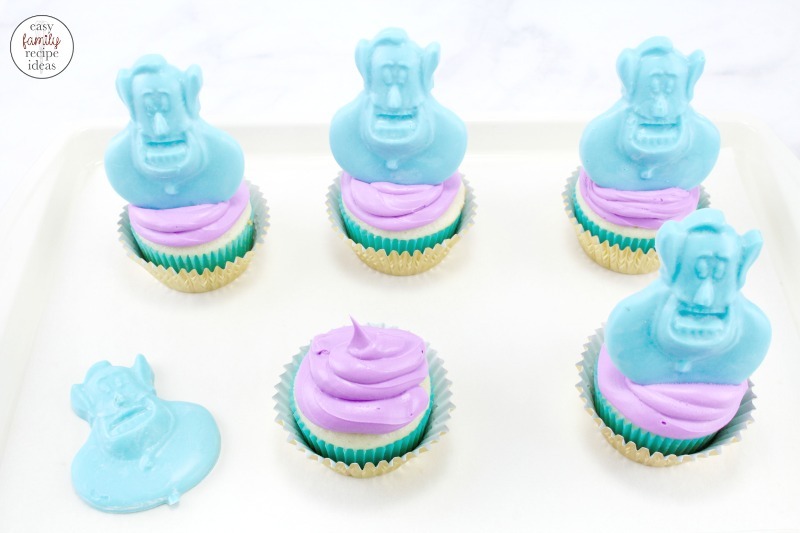 Pop your genies out of the mold and repeat step 1 and 2 until you’ve made all of the genies you need for your Aladdin cupcakes. 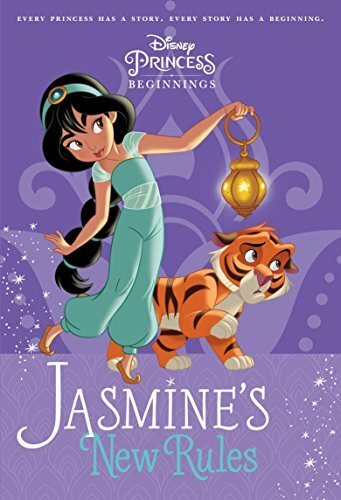 You also might be interested in adding these fun magic genie lamps molds. 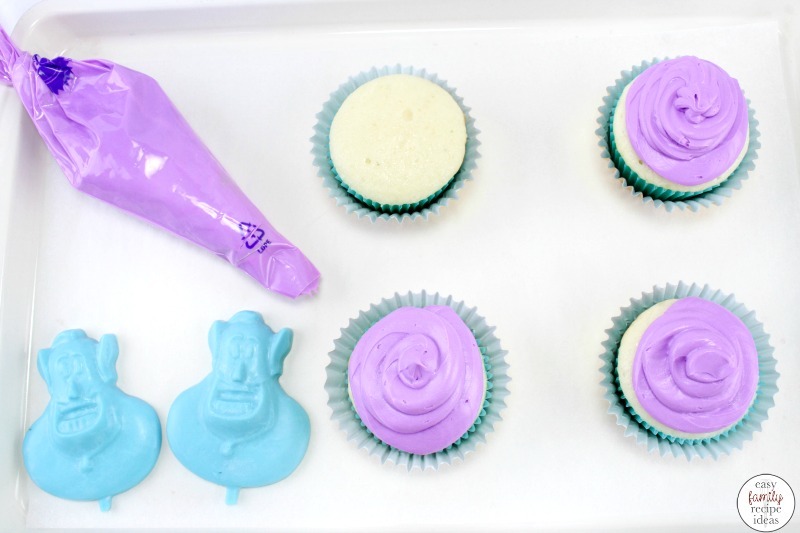 Add frosting to a piping bag or baggie. 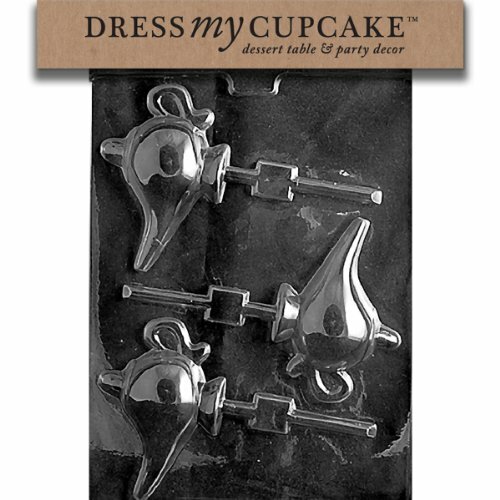 Snip off the corner and pipe the frosting on the cupcakes. 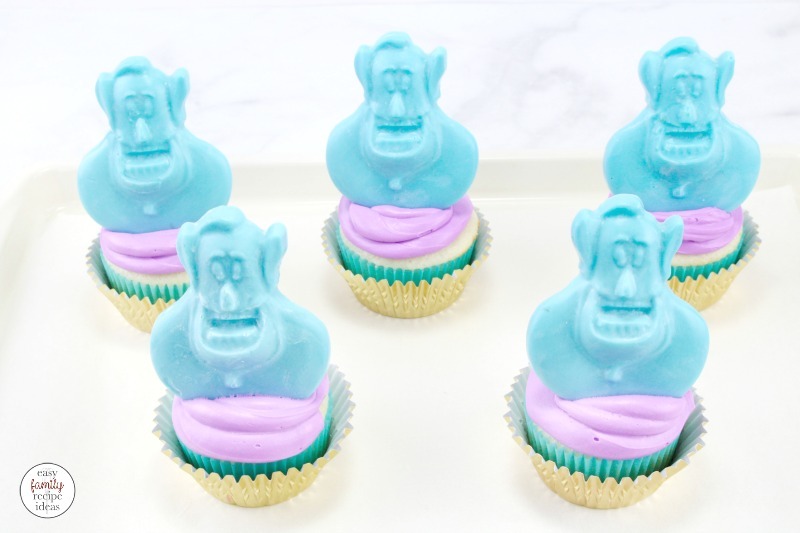 Place one genie on each cupcake. 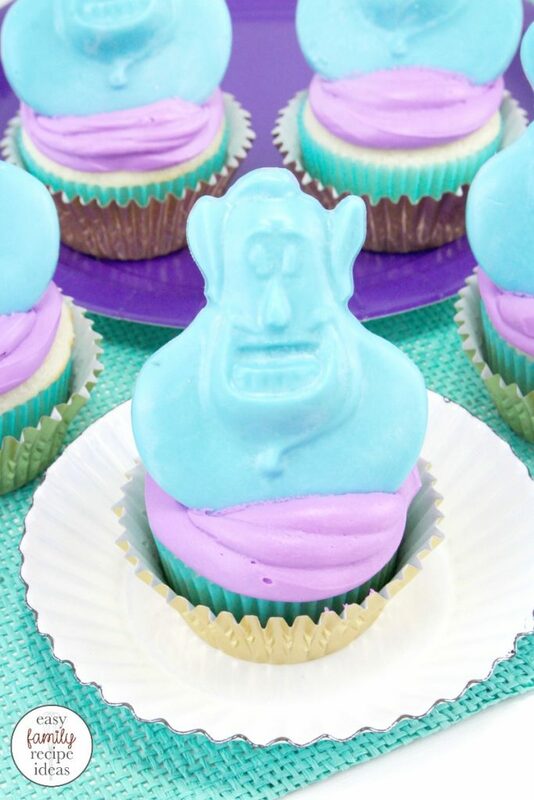 I suggest adding a little extra frosting behind the genie to help hold it up. 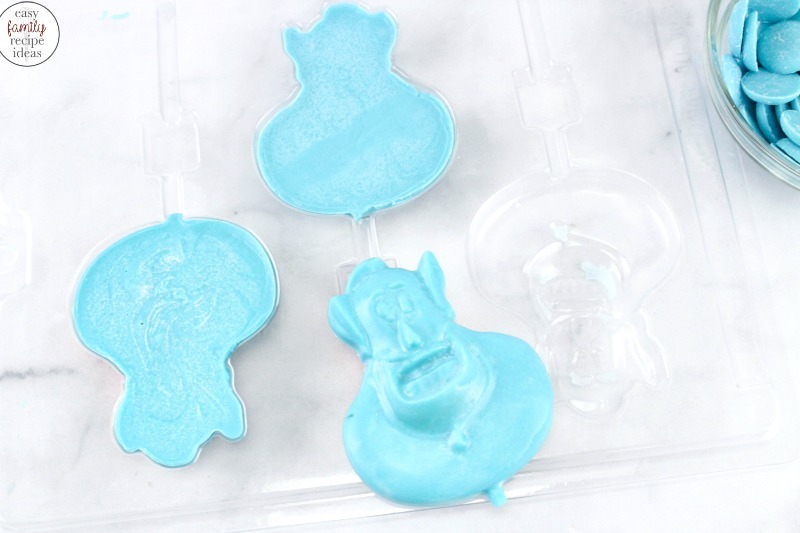 Spoon melted chocolate into the molds and tap the mold on the counter a few times to release any air bubbles. Let dry for about an hour.